DXN TSI trip is an annual event organized by DXN. In every 3 years, all DXN qualifier meet at the same place. In the other years there are different destinations for each country or region. The eliglibility criteria for the European DXN members was 110000 DXN TSI points, they have to collect it between August 1st 2013 and July 31st 2014. 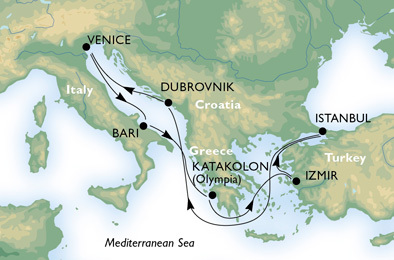 Qualifiers of TSIP 2014 enjoy an unforgettable luxurious cruise through Mediterranean Sea with MSC Preziosa lasting 8 days and 7 nights, visiting 4 countries and 6 towns (Venice, Bari, Katakolon, Izmir, Istanbul, Dubrovnik). This dream come true for us. This was the first DXN TSI trip, which we was part of. We qualified for two persons, and we also took our children with us. I am very happy that we can be together with our family and with good friends. I’m very grateful for it! This was an amazing, exciting experience, we will remember for our lifetime. We would like to say thank you to all of our team-members, who work hard to achieve their dreams, and through this, they helped us, to achieve our dreams too. I hope for the next DXN TSI Trip, which will be a cruise too in the spring of 2016. and the qualifying period is 17 months, that a lot of our DXN team-members and friends come with us, and enjoy a wonderful trip together. 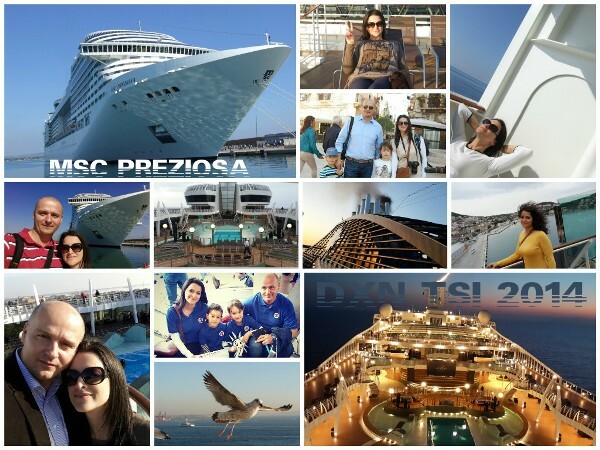 Let’s see some picture and video, how we enjoyed this amazing luxury crusie with MSC Preziosa.